While it can be fun to dress up a piece of grilled meat with a nice marinade, sometimes we like just seasoning meat with salt and pepper and then throwing it on the grill. That said, sometimes it’s nice to have some sauce on the side if your meat needs a little extra flavour. 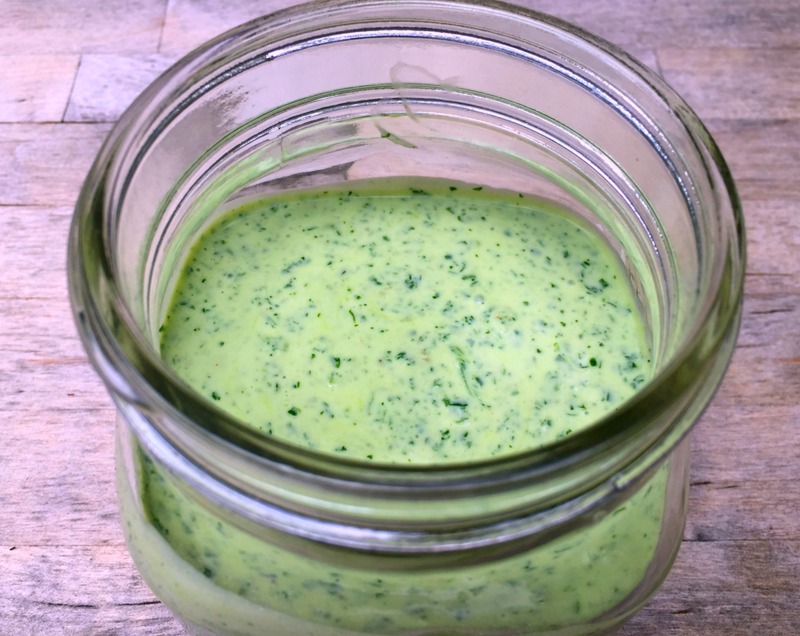 This fresh-tasting garlicky green sauce is great to have on hand for nights when you’re grilling up a quick steak, pork chop, chicken breast or piece of fish. The fresh herbs got with almost anything and it adds a bit of summer brightness to a backyard meal. It lasts in the fridge for up to a week and whips up in minutes. If you have any leftover, serve it as a dip with raw vegetables for a quick appetizer or snack. Place the jalapenos, cilantro, basil, ginger, honey, garlic, vegetable oil, and lime juice in a food processor or blender. Blend until smooth. Add a little bit more oil if the mixture is too dry to break down. Stir in the sour cream or yogurt until fully combined. Season with salt and pepper. You can also add a pinch of cayenne if you'd like it to be a bit spicier. Serve with grilled meat or whatever else could use some sauce. Keep refrigerated for up to one week.